Deconstructing Leo: Lisa Loeb Top 40 Complete! Thread: Deconstructing Leo: Lisa Loeb Top 40 Complete! I've been revising my itunes lately and decided to create this topic and to slowly put my story here, told by my fav artists and music. 60 artists initially will be presented, with Top 10/20/40/50/70/75/100. It will take me a LONG time but I will slowly do it, and will be editing this post so as to summarize information here. Also I will tell sometimes "How I met..." so as to put in a few lines on how I discovered the artist in question. Then I will share specific albums or songs by another artists. And of course will repost charts if an artist previously presented releases a new album. Finally, a TOP album chart will be editted everytime an artist is fully presented. I will add his/her/their catalogue to the chart. YOU CAN CLICK ON THE BANNER TO GO TO THE RESPECTIVE COUNTDOWN!!! Wow some great names in there, excited. Loved the Woody Allen reference. Surprised by some names, I'll try and check this thread! Sounds interesting, I will follow this! Thank you guys for stopping by! I hope you enjoy this and maybe find something interesting (at least once )! Tomorrow I'll start wit A Fine Frenzy's Top 10 , with links to the videos. I like the simplicit and lightness of this song. I love the sweet voice here. Her music sounds like autum, if that makes any sense. And I love autum. Staying inside, it all goes, all goes, all goes, all goes by"
LOVE it. The clapping. The guitar. The voice. The honest lyrics. Opening track of her second album. The second song I heard from her. She has a topic going through most of her songs, which would be unrealized love. I love songs that are "visual". I can see this song as a soundtrack song, The sounds perfectly fit the feeling of the lyrics. This could have easily be my number 1. But I have 2 more songs that are closer to my heart. I LOVE this song. I love the video. This is the song that started it all (see How I Met...). It is too sad, so it is not for anytime. But is is beautiful. How I Met... A Fine Frenzy? I was going out with a girl back in 2007. I liked her a lot, but it was complicated. She was in a longtime relationship and I was just going out of another. But we were perfect together. One day, in my car, she gave me a cd and told me to listen to it togeher. It was A Fine Frenzy's "Almost Lover"... We realized we were just that, almost lovers, and it was becoming quite painful. So I made up my mind, and today that girl is my wife and we have a beautiful 2 year old son. So, A Fine Frenzy was her choice but slowly I became more and more enthrilled by her voice and her sounds. In the meantime... feel free to post!!! By the weekend I'll be finishing Aimee's list and then I'll move on to a more popular choice: Alanis Morissette TOP 50. Love me some stories and the way you connect the songs and albums to your personal life makes it very entertaining! What I Wouldn't Do was my favorite from this batch, the singer's vocals remind me of KT Tunstall a bit, deep and versatile voice! Thanks Wardo! Nice to read this from you. I have a tendency to enjoy female singers, and pop-rock is one of my fav genres, so I understand the KT comparisson. In fact, KT will eventually be portrayed here. Off to work now, long day ahead. This is a cool thread, I love many of the singers you listed here! I've only heard Pines from A Fine Frenzy, and maybe 1, 2 songs from the other albums. Need to check her out some more, Pines is rather difficult but cool. By your votes in the different games I see that we have some points in common regarding music. I'm glad you can enjoy this! Pines is difficult for me too! It was a change from her previous albums. I think it was more experimental which is interesting but, all in all, the albums lacks intensity. Now Is The Time is the lighter song, and more similar to her previous albums. She doens't have the best voice, but she has a distinctive voice, and that's what I like about her. Another pop-rock artist. Here is the first part of this artist's top 30, with some good simple songs. Still to come, some true gems in my discography. I like the country sound in this song. I like the phrase "and you'll call it fate, when you show up too late and it's over"
Also part of the Magnolia OST. I like the fact that Aimee pornounces so clearly. I've been seeing her name pop up on my last.fm suggestions but never got around to checking her out. Maybe a bit too pop-ish oriented for my taste, and reminds me of Sara Bareilles whose music I don't like at all (so much for common points ), so it's another no-no. But she's kinda interesting, maybe I'll delve into her eventually! Question: how do you decide if an artist will have a top 10, 30 or 50 or anything else? By the size of their discography or randomly? 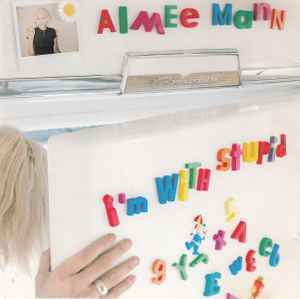 Been meaning to try Aimee, looking forward to your Alanis & KT lists. Have a nice time on your UKMIx-holidays! This topic will be waiting here lol I know we disagree on some artists, which is normal, but in general I see you as someone whose music taste I respect. Top10/20/30/50/etc will depend on the numebr of songs I want to share. In general I am sharing songs above 8 points in my scale. I am rating the whole discography but then just share the ones I want to share. I think Aimee is less pop than Sara, with time and willingness give her a try and then tell me! Alanis is the next artist! I think you posted a TOP Alanis list, didn't you? I just was checking the other day but couldn't find it so I don't remember now. Do yuou have a link? It's in the directory thread, here's the link. I think it'd look a little different now if I done it over. Yes, it is very hard for me to rank songs, I feel that I am not being fair many times. But so far I have been enjoying this. 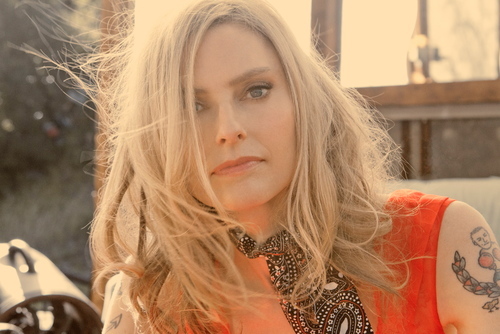 Here it is the second part of Aimee Mann's TOP 30. Hope you enjoy her as much as I do! I was kind of confused when Aimee released a christmas album. But then I saw that MANY artists do it, so I gave it a try. This particular song is very nice, not festive christmas but more relaxed. This is not from the christmas album. I like the bass here, the rythmic part of this song. 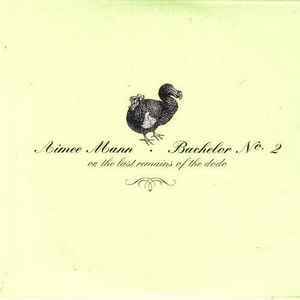 But it's not, and I don't know where to turn"
How I Met... Aimee Mann? My brother was a big Magnolia fan, the Paul Thomas Anderson film from 1999.He watched it like 10000 times. But I hated it, mainly because he was a big fan. Typical brother love . He bought the soundtrack, which mainly consists of Aimee Mann's music, but never listened to it. When I moved out from my parents house to live with my now-wife, I found it and took it with me. She already knew Aimee's music, but it was a whole new world for me. I never saw the film anyway, but the soundtrack is great and I am very thankful to my brother for introducing me to this fab artist. Aimee's music in Magnolia is heartbreaking, it's very deep. Save Me is my favourite. This reminds me that Goldmoney suggested an Album Cup with soundtracks only, it would be a great chance to see Aimee shine, perhaps. Thanks for the links I'll have a listen through sometime tomorrow. I don't wanna spoil tomorrow's top 10, but Magnolia has some fantastic songs! It can be a good choice for the Album Cup. Save me is indeed a good track.